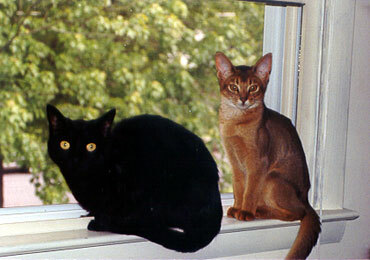 Somalis and Abys are social cats. 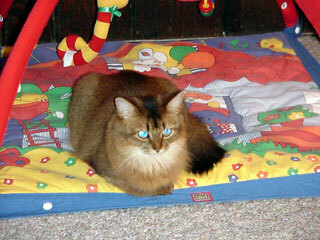 A well-bred Somali or Aby has no trouble getting along with the other cats in the household. 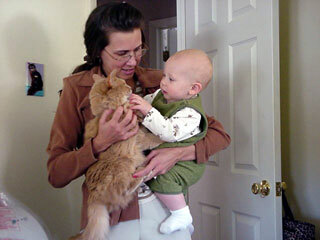 This photo of Penny and Ab was taken about a month after we brought Ab home. 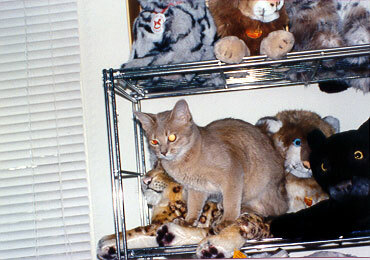 Gigi was about a year old when this photo was taken but she still climbs on those shelves to be with the stuffed animals. 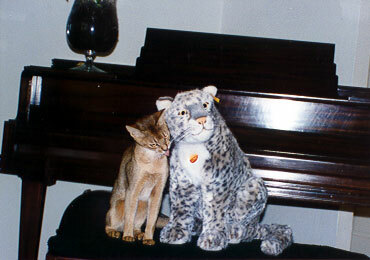 Here is Ab nuzzling a stuffed snow leopard. There was a funny story about the snow leopard. It is a Steiff, made in Germany. When I bought it I told some online friends that I had bought a new snow leopard that was "bred" in Germany. The next time they saw me at a show, they asked about my new Bengal kitten! 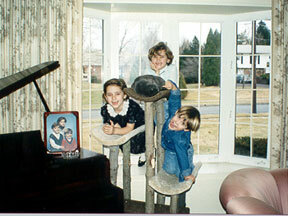 Rory, Allison, Scott and Lingh show that this cat tree can hold more than just cats! The tree is ten years old now and the carpet is bare in some places, but the cats still love it. Isn't this the cutest picture?? 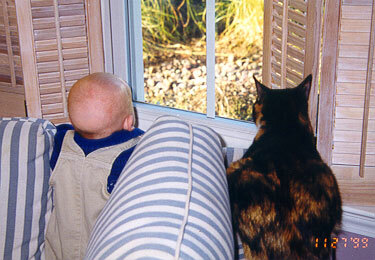 This is my nephew, Will and his cat, Jonesie! Here's Jonesie again, with Nick this time! 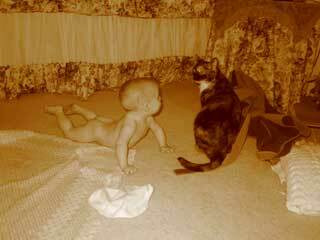 Cats and baby things go together.. 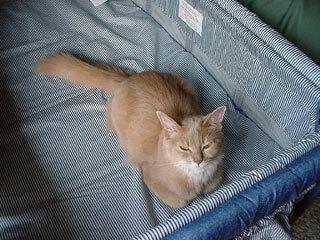 Here's where Will sleeps when he visits. Sometimes someone else sleeps there. 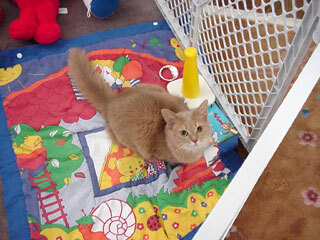 Foxy tries out the kids’ play-mat.